Marjorie Ryerson, the author of the 2003 book Water Music, and the creator and executive director of the non-profit Water Music, Inc., is also the editorial director of Safer Society Press in Brandon, Vermont. She is an award-winning professor, photographer, poet, editor and journalist. In addition to her other activities, Marjorie teaches poetry for Middlebury College at its New England Young Writers' Conference each spring, and has served in that capacity since 1990. She additionally is a First Wednesdays' lecturer for the Vermont Council on the Humanities. Her talks for the council focus on what she learned while assembling the material for her 2005 book, Companions for the Passage; Stories of the Intimate Privilege of Accompanying the Dying. 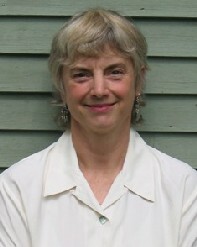 Prof. Ryerson taught non-fiction writing and photography at Castleton State College from 1991 until 2005, and in that time, was selected as the Vermont State Colleges Faculty Fellow for the academic year 2000-2001, the highest honor awarded to a professor in the Vermont State College system. Prof. Ryerson's far-reaching art book, Water Music, includes 100 of her art photographs of water and personal, creative writings about water (in poems, song lyrics, essays and stories) by sixty-six world-renown musicians who include Renee Fleming, Bobby McFerrin, Patricia Barber, Pete Seeger, Emanuel Ax, Sarah Chang, Randy Newman, Midori, Taj Mahal, Vladimir Ashkenazy, Dave Brubeck, Paul Winter, and others. Ryerson donates all her profits from the sale of Water Music to the Water Music Fund at the United Nations Foundation, a fund created by the U.N. in response to her book. That money is in turn supported by matching grants from other institutions and individuals and the collected revenue is then used to help provide safe drinking water for families around the world. As part of her work for Water Music, Inc., Ryerson assists schools in the creation of academic curriculums about water. Those curriculums are in turn used to support school-wide, year-long educational programs about water across all the disciplines. Ryerson also gives concerts with individual musicians, musical groups, and symphonies across the United States and Europe—with water as the theme of the concert. Her photographs of water have been featured in numerous art shows along the East Coast. Prof. Ryerson was chosen as the 2005 recipient of the international Harry E. Schlenz Medal for public education about water quality, because of Water Music and the larger Water Music non profit. She also was the recipient of the 2003 Paul Keough Award for leadership in the water environment, also for her Water Music work.